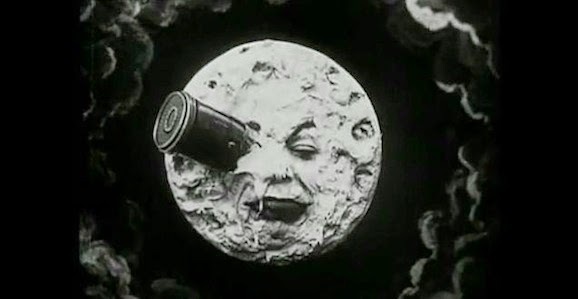 Georges Méliès’ 1902 A Trip to the Moon has the distinguished honor of being the oldest film on this list by far, and, based on the work of Jules Verne and others, is widely regarded as the first science fiction film ever made. In that sense alone, the film’s echoes can be felt at the theater this weekend, but there’s more. What Interstellar does better than anything else, is capture a sense of awe and wonder when it comes to looking up to the stars and exploring the unknown. While that has been going on since humans first crawled out of the primordial muck, cinematically speaking, that obsession began right here. 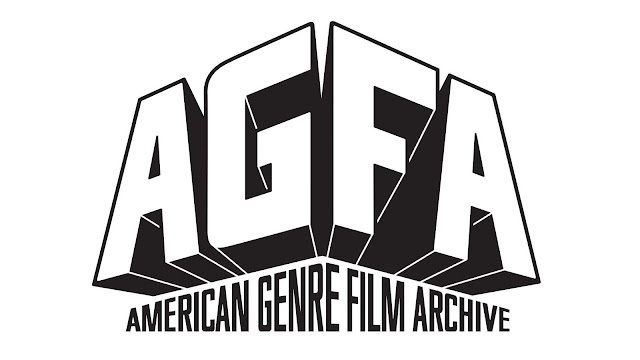 Every movie that came afterwards owes a debt to this. 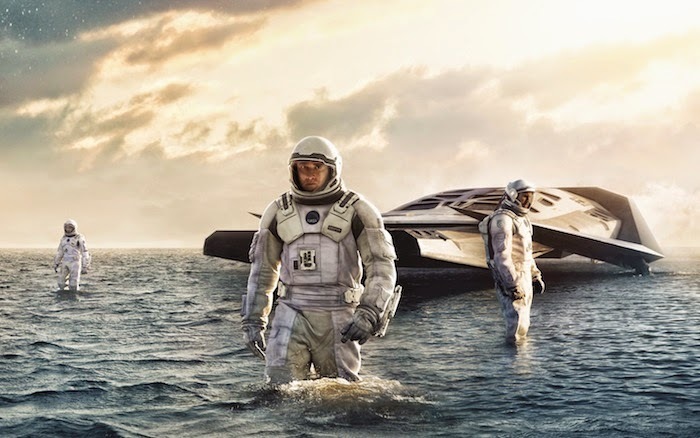 The themes of looking upwards and marveling, and intrepid adventurers journeying to mysterious other worlds that are at the forefront of A Trip to the Moon are the very corner stones of sci-fi, and on full display in Interstellar. Fritz Lang’s 1927 expressionist dystopian masterpiece Metropolis is another movie that, without its influence, modern science fiction would look drastically different. Directly motivating everything from Star Wars to Blade Runner, it’s aesthetic is damn near everywhere. 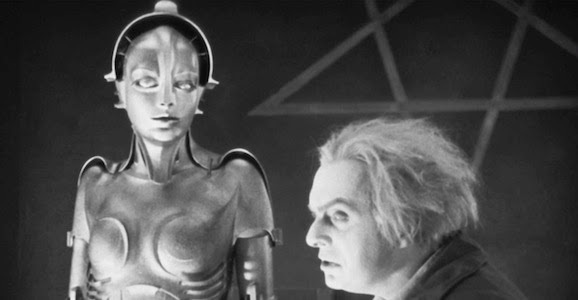 In the case of Interstellar, however, Metropolis is more of a spiritual forbearer. Much like Nolan, Lang’s film pushed the boundaries of what was possible with movie effects at the time. Obviously there was no CGI in 1927, but upon the film’s release, it was hailed as a breathtaking technical marvel, the kind of movie that you had to see, despite what many considered a story that was silly, even cliché, and left many viewers and critics at the time wanting something more. Both of these ideas are being thrown around in regards to Interstellar in almost every piece about the film you come across. Interstellar is set in a near future where, due to unexplained factors—you suspect continued global climate change, but the real reason is never explored at all—the world is dying. Wheat no longer grows, the last ever crop of okra is being harvested as the film begins, and all that grows with any consistency is corn, and even that won’t last much longer. 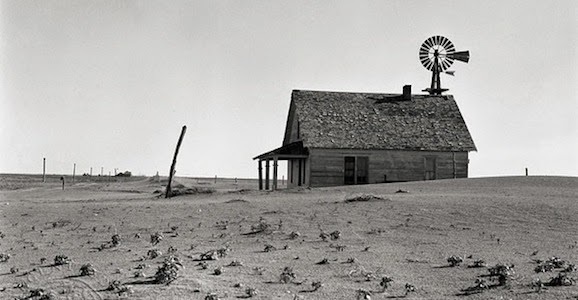 In fact, with massive, sweeping dust storms—the grit is omnipresent, seeping through every crack—this reality is consciously reminiscent of the Great Depression era dustbowl depicted in John Ford’s 1940 adaptation of John Steinbeck’s The Grapes of Wrath. In it’s day, Grapes was still painfully familiar, while Nolan’s film feels eerily prescient now. Matthew McConaughey’s Cooper even resembles a modern incarnation of Henry Fonda’s Tom Joad. Unable to do anything else, both dream of something bigger, something better for their families, and each leaves, in his own way searching for a future, only to find unexpected struggles along the way. 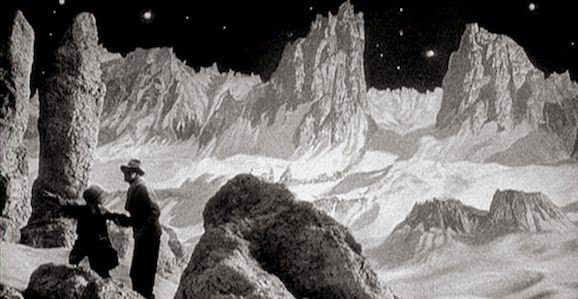 Woman in the Moon marks the second Fritz Lang entry in our truncated list, and this 1929 silent film, maybe even more than A Trip to the Moon, is the first depiction of space travel on screen, at least as it appears today. Revolving around a professor who believes that there are stores of gold to be mined on the lunar surface, this is one of the earliest, if not the first, movies to introduce the idea that there are worlds out there with things we, as a species, can use. Here the idea is that there are ways to profit—which is similar to the idea of asteroid mining—but what’s more useful than a new planet to call home like the crew from Interstellar are looking for? They’re different parts of the same equation, and Woman in the Moon, depicting the moon with a breathable atmosphere, definitely brings up the idea that there is more waiting for us out there beyond our own world. You’ll also notice definite similarities to one of the planets visited in Nolan’s film. This is, admittedly, cheating, as this entry is in color, but I really wanted to include this title on this list, so there you have it. At first glance, Richard Fleischer’s 1966 Fantastic Voyage and Interstellar appear to be polar opposites. One goes big and out, while the other goes small and very literally inward. What they share, however, is a similar sense of adventure and wonder and exploration. After being shrunk, the crew of Voyage is placed inside the body of a scientist to save his life. Primarily confined in a small craft, they must navigate a hostile environment where the slightest misstep will cost them their lives. As they encounter various obstacles on their journey, this scenario plays out much like in Nolan’s film. Instead of saving one life, they’re attempting to save all of humanity, and their mission unfolds much like Voyage on a massive, external scale. They venture through pathways, between galaxies instead of bodily organs, and as they explore various new worlds it mirrors Fleisher’s film. They even have to improvise in similar manners, using what they have at their disposal in order to survive.